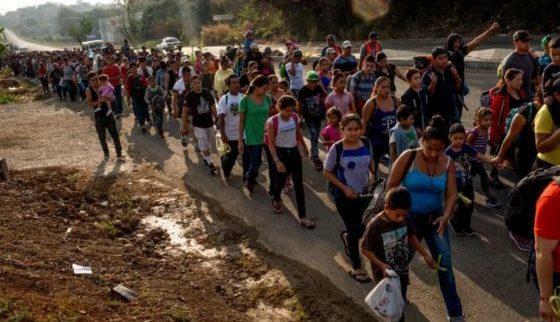 One of the biggest bits of news on all mainstream media channels is the caravan of illegal immigrants heading toward the United States border with Mexico intending to demand entry into the country. But from this big story comes a heavy dose of irony as Mexico deports 400 marchers for entering Mexico illegally. According to The Daily Wire, when the caravan crossed the Mexican-Guatemalan border, the group’s leaders praised Mexican officials for stepping aside and allowing them entry. “Refugee Caravan knocking down borders yesterday in Huehuetan! Immigration agents abandoned the post when they knew we were coming. The people celebrated this first little victory!” they said on Facebook. The caravan set off on March 25 for a 1,900-mile trek and is expected to hit the U.S.-Mexico border by the end of the week. President Donald Trump hasn’t seemed to be impressed with Mexico’s attempts to stop the caravan either, but it looks like the laws in our Southern neighbor’s nation have worked in this instance.